Brussels, 4 November 2008 – A study carried out by eCOGRA, the leading standards and player protection body in the online gaming industry, reveals that 67% of the consumer facing responsible gaming Standards implemented by the EGBA, the association of European gaming and betting operators, match or even exceed those applied by 10 of Europe’s largest gambling monopolies. In a fast changing online environment, rigorous monitoring of the best existing practices is essential so as to allow a continuous process of updates and improvements. In this context, in May 2008 the EGBA appointed eCOGRA to carry out a study that would benchmark some of Europe’s leading gambling monopolies against the EGBA’s own Standards governing consumer protection, security and social responsibility that it requires all of its members to meet. EGBA welcomes the results of the study that provides the first ever fact-based and comparative assessment of the practices in place at both private sector operators as well as those of government controlled monopolies. According to Sigrid Ligné, Secretary General of the EGBA: “This study shows us that there are lessons to be learned by both the monopolies as well as the private sector. However, it also clearly dismisses the argument that private sector companies are failing to provide consumers with similar levels of protection and responsible gaming practices. In fact the evidence shows that it is the private sector that is leading the field in this important area and results are a testament to the major commitment and strong leadership of EGBA operators towards developing a comprehensive and consistent package of responsible gaming practices”. At a time when responsible gaming is at the heart of political discussions in Europe, eCOGRA’s study gives clear evidence that two thirds of the consumer facing tools and practices in place at the EGBA members offer protections that either match or exceed those offered by the monopolies. It also shows the need for improved transparency as 21% of the Standards could not be benchmarked due to either insufficient information being available on the exact equivalent practices of the monopolies or the fact that they were not accessible. Sigrid Ligné added: “I am confident that this study will improve the understanding of all stakeholders throughout Europe on the important issue of consumer protection and responsible gaming. From now on, it will provide a valuable reference for those making political decisions about the future of online gaming at EU as well as at a national level”. 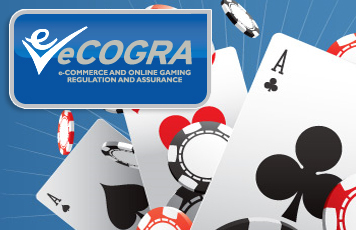 Andrew Beveridge, CEO of eCOGRA added: “Self-regulation in the online gaming sector is an important tool and great complement to formal regulation. Legislators should seek to draw upon the considerable and effective efforts made by the private sector and promote similar initiatives throughout the EU”.